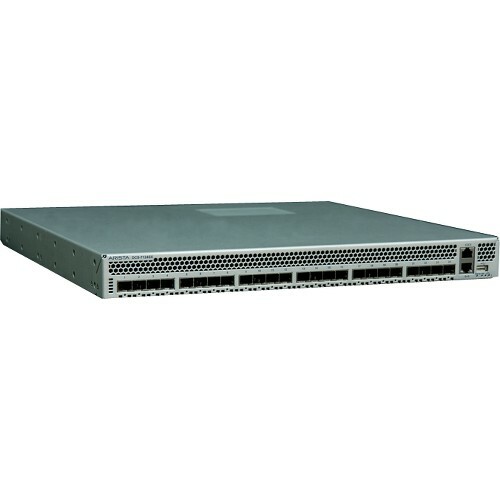 The Arista 7124FX Application Switch is a high performance, ultra-low latency embedded application switch. Based on the award winning Arista 7124SX, the 7124FX adds an inline programmable subsystem that is directly integrated with the forwarding plane. 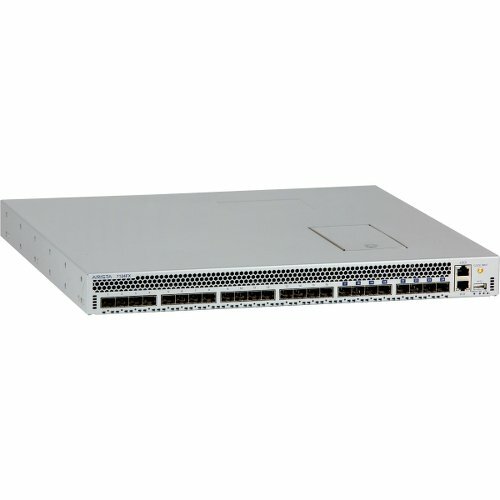 The 7124FX offers 24 1/10GbE wirespeed ports in a compact and power efficient 1RU chassis. The 16 standard front panel ports accommodate the full range of 10GbE SFP+ and GbE SFP options, allowing for maximum flexibility and deployment options. The 8 FX ports are directly connected to the user programmable subsystem, providing a flexible and open platform for custom and 3rd party embedded applications.